Over 140 Teams Coming to INSOMNIA62 Gaming Festival to Compete as Part of CWL’s Record Setting $4.2 Million Season Total Prize Pool. 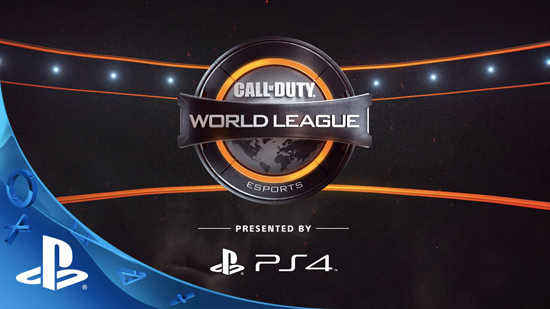 The Call of Duty World League, Presented by PlayStation 4, kicks off in Birmingham, United Kingdom, as over 140 Call of Duty esports teams from around the world compete for their shot at glory and prizing during this record setting season of the CWL and its $4.2 million overall season-long prize purse. The action gets underway today through this weekend as part of the INSOMNIA62 Gaming Festival by Insomnia. CWL Birmingham Open tickets are available online via INSOMNIA62, starting at £26.14 (including taxes and fees) for day tickets and £73.19 (including taxes and fees) for weekend tickets, while supplies last. For ticket and event information, visit MLG.com/CWLBirmingham. Fans can also watch the broadcast action on MLG.com/CallofDuty and Twitch.tv/CallofDuty. Matches will also be available to watch via the in-game Call of Duty: WWII theatre within Headquarters on PlayStation 4.